There are a number of typical things being done in this building. 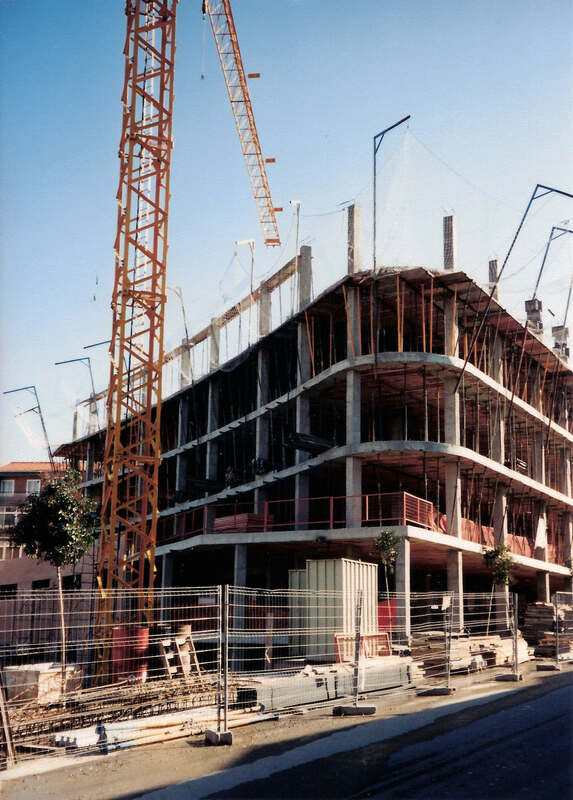 As is the case with most Spanish multi-story buildings, a series of concrete columns and beams are spanned with concrete joists and brick units to create the structure for concrete floor decks. Also typical are the crane on site during the entire construction process as well as the safety netting around the building.